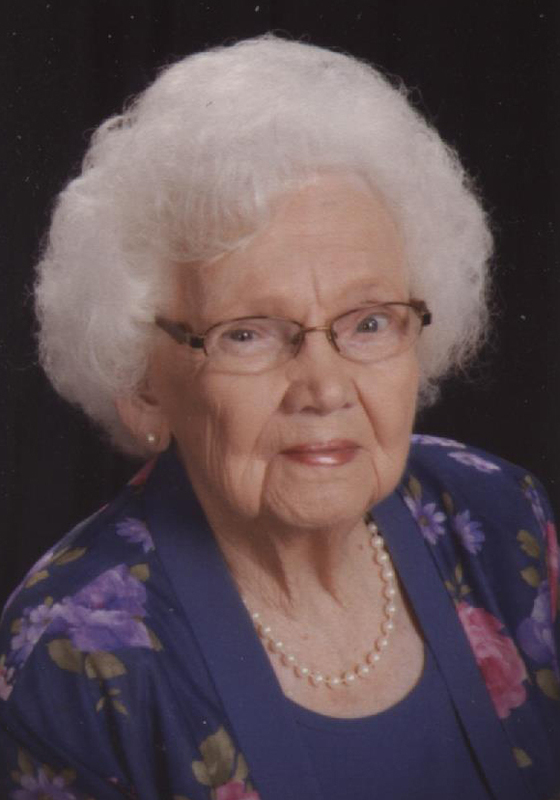 Fanny “Delores” Wessel, age 93, of Holland, Indiana passed away at 10:34 p.m., on Saturday, July 7, 2018, in the emergency room of Memorial Hospital and Health Care Center in Jasper. She was born March 1, 1925, in Pike County, Indiana to Blythe and Esta (Wininger) McCormick; and married Alfred Wessel on July 16, 1979, at Augustana Church in Holland. Delores worked at General Electric and Leeds Selling Tools. She enjoyed traveling and spending time with her grandchildren and great grandchildren. Delores was a member of Augustana United Church of Christ in Holland and the Rockport Rebekah Lodge. She was preceded in death by her parents; husband, Alfred Wessel, who died in 2002; an infant daughter, Cynthia Barnett; and seven siblings, Ruth Harris, Anita Hilgeman, Velma Leslie, Betty Froman, Jessie Bauer, Virginia Winter, and Charles McCormick. She is survived by one daughter, Patricia “Pat” (Ronnie) Arterberry of Tell City; two step daughters, Beth (Mark) Gill and Brenda (Lynn) Kahle both of Holland; two siblings, Robert (Doris) McCormick of Indianapolis and Roseanna Abrocrambie of Arizona; sister-in-law, Barbara McCormick of Indianapolis; eight grandchildren, Randy Arterberry, Tony Arterberry, Eric Shewmaker, Sheena Seger, Ty Kahle, Jenae Gill-Boeglin, Chelsey Gill, and Shayla Gill; and seven great grandchildren. Funeral services will be held at 10:00 a.m., Thursday, July 12, 2018, at Augustana United Church of Christ in Holland with burial at Augustana Cemetery. Pastor Debbie Roe will officiate at the service. Friends may call for visitation at the Nass and Son Funeral Home in Huntingburg from 4:00-8:00 p.m., on Wednesday, July 11th; andalso at church one hour prior to the funeral, Thursday. A Rebekah Lodge vigil will be held at 7:00 p.m., Wednesday, at the funeral home. Memorials can be made to Augustana United Church of Christ.